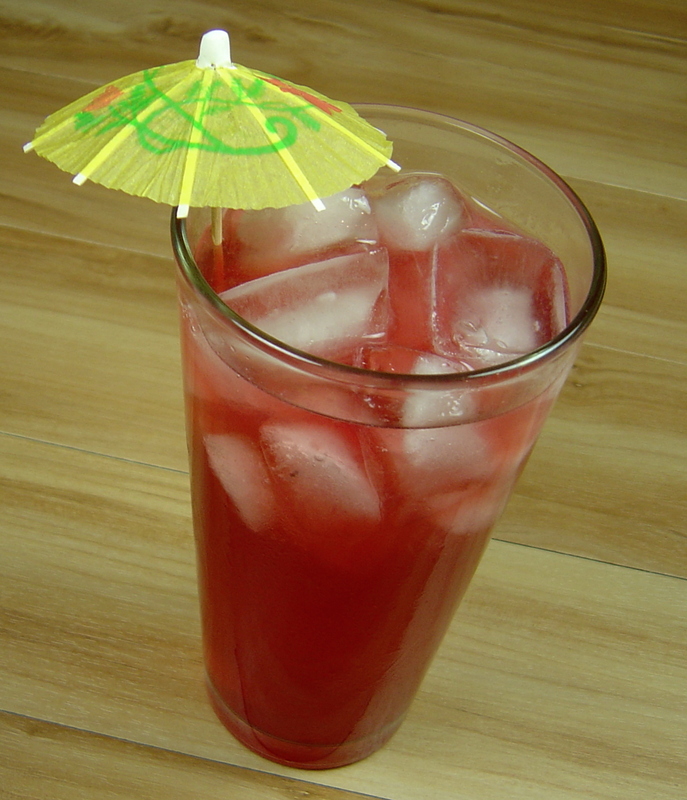 Classic Asian cocktail, made without using cherry brandy. Shake together in cocktail shaker then pur into a tall glass. Top up with club soda or seltzer water (and more ice if needed).